We know it’s not a bat, but does this really qualify as a fish? 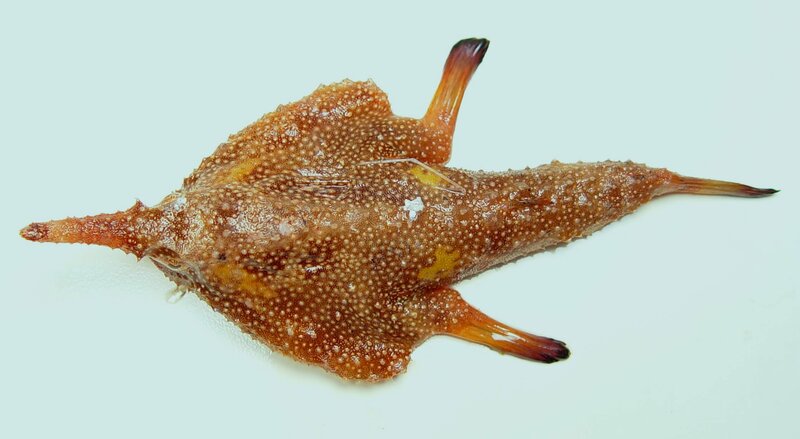 The Batfish has uniquely creepy pectoral and pelvic fins that let it “walk” across the seafloor. 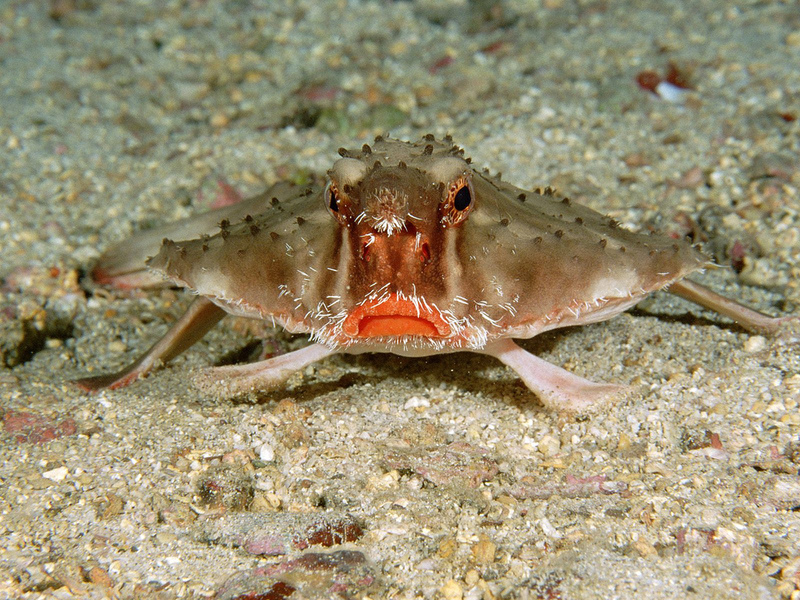 Similar to anglerfishes, batfishes lure in small edibles like shrimp, worms and fish using a wriggle-ready appendage on their nose that acts just like a fishing rod. About 60 species of batfishes walk / swim the waters deep. 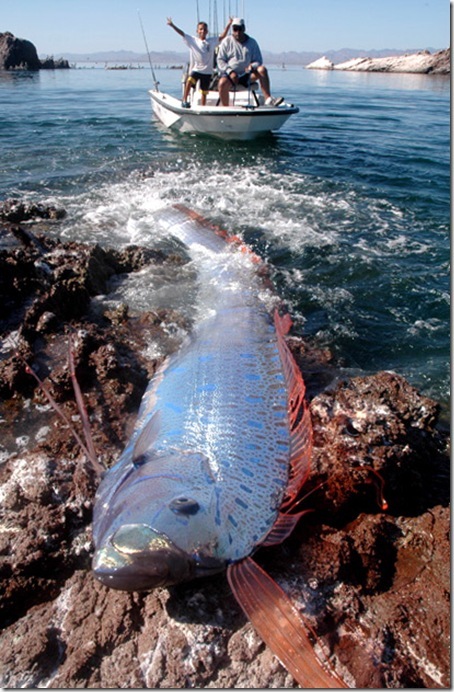 Grows like goliath, hunts like a tiger and swims like a fish. 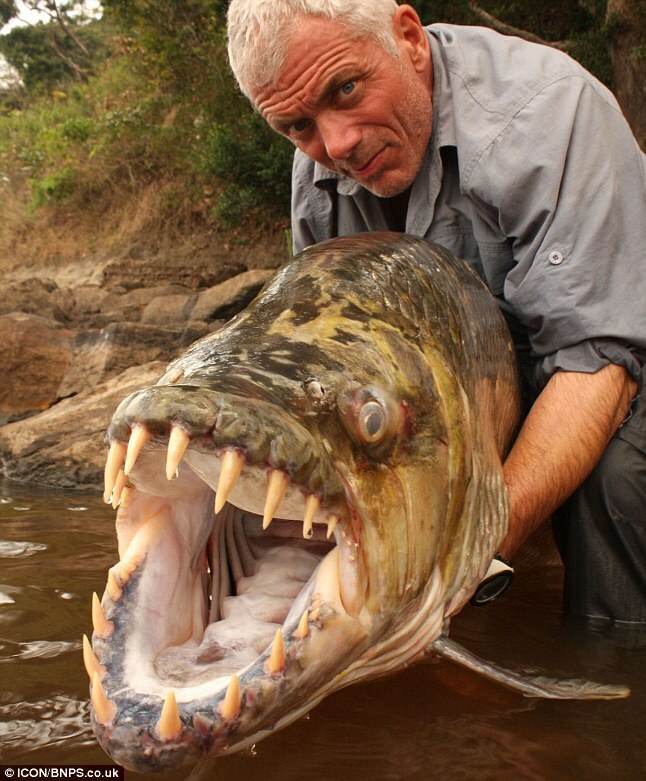 The Goliath Tigerfish lurks the waters of the Congo River system and several other lakes in southern Africa. 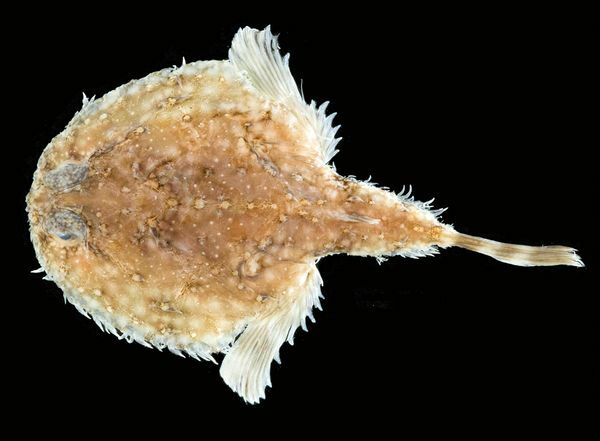 This fish is remarkably adept at swimming and killing due in part to an air-filled sac in its body that allows it to detect vibrations from animals in the water. Those razorsharp spikes in its mouth may also help the cause. 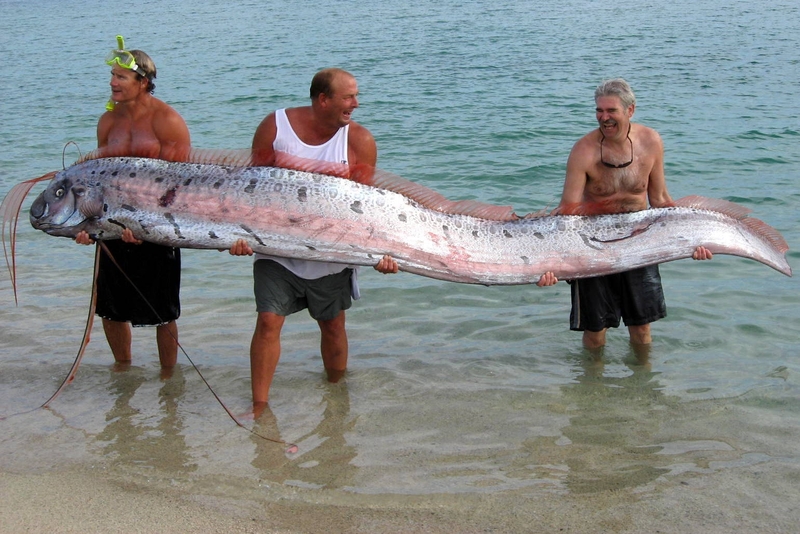 Many thanks to dear reader John C. for shoring up this goliath creepy animal. Long live the King of Herrings! 1. Its lifespan may be up to 200 years. 2. 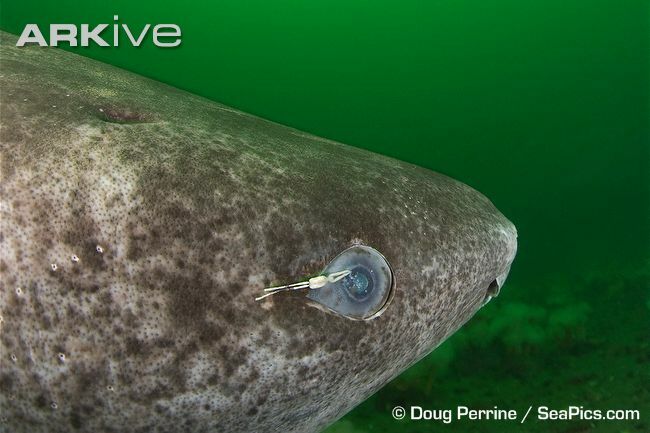 It moves very slowly, yet fast-moving fishes, seals and even reindeer have been found in the stomaches of these sharks. 3. 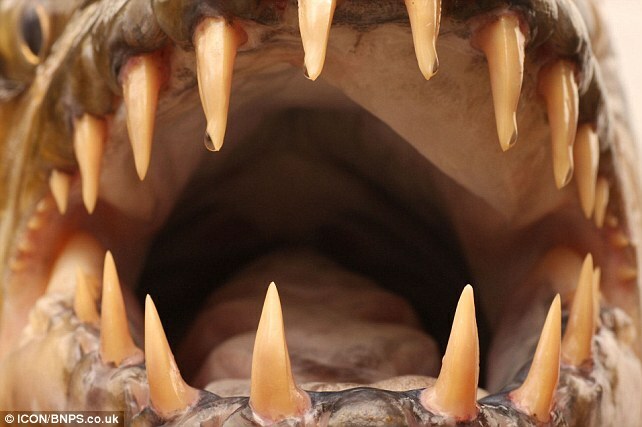 The fossilized appearance comes courtesy of small ‘teeth’ on its skin. Greenland Shark leather is approximately 9 times stronger than cowhide. 4. Its flesh is very toxic when fresh. 5. 80% of the adult population has a parasitic friend – a small Copepod embeds itself into the shark’s cornea, with the other half of it dangling out like a dead worm. Scar tissue forms on the eye, rendering eyesight semi-functional later in age. 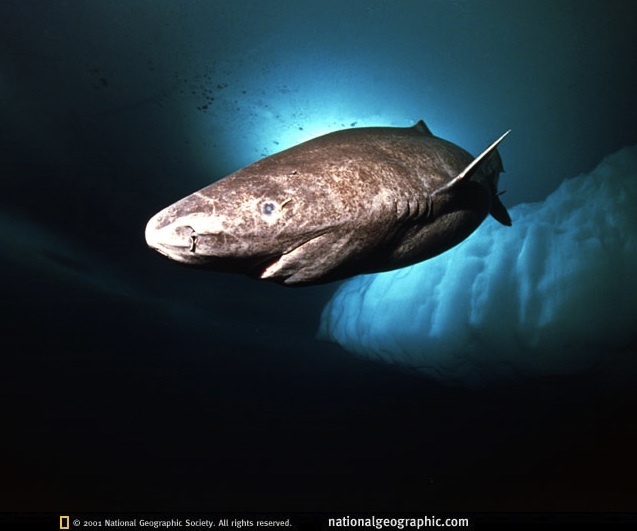 No matter – Greenland Sharks spend most of their time in darkness, up to 7200 feet below the surface. Dun dun. Dun dun. Dun dun dun dun dun dun dun dun. This is so much worse than a Great White lurking on the beaches of Amity Island. 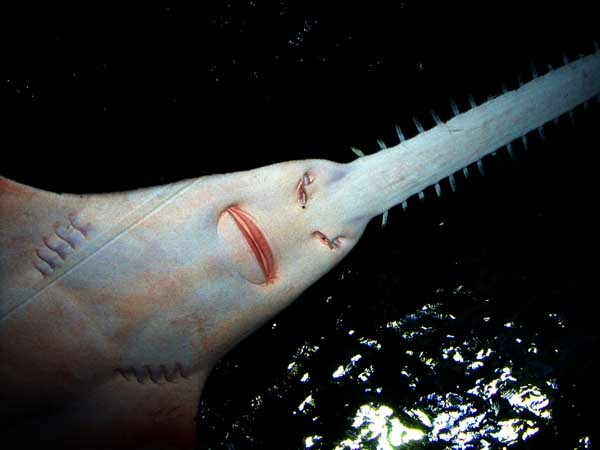 Sawsharks are most obviously distinguished from other sharks by the row of teeth sticking out on either end of its long snout, which it uses to blade its victims. I mean...what exactly are we looking at? In Greek mythology, the chimaera (or chimera) was a fire-breathing monster composed of various animals: a lioness, a snake and a goat. 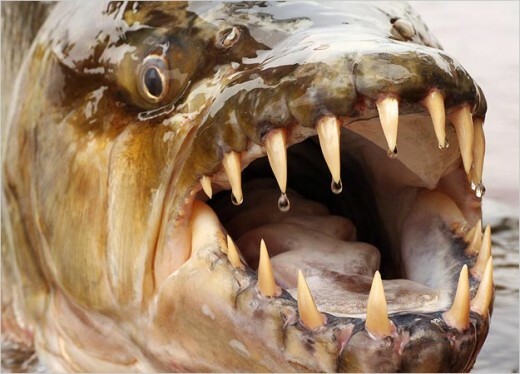 In reality, the chimaera is a deep-sea monster composed of various substances: cartilage, slimy skin and utter creepitude. 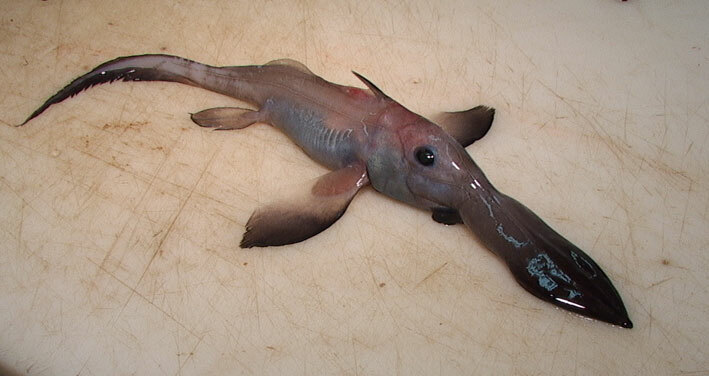 The Long-nosed Chimaera is the strangest looking one. In fact, we can’t look at this image and not think horrible thoughts. 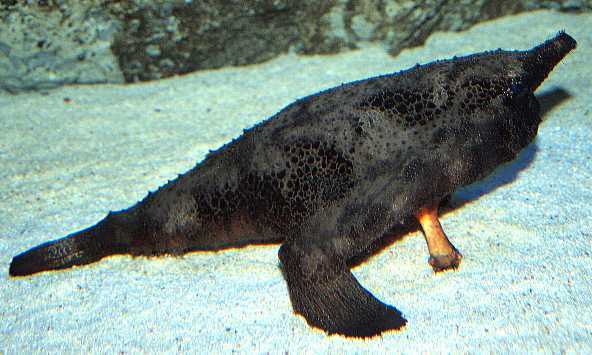 The long nose contains many sensory nerve endings used to detect small fish in black waters and the spine on its dorsal fin carries venom for defense. 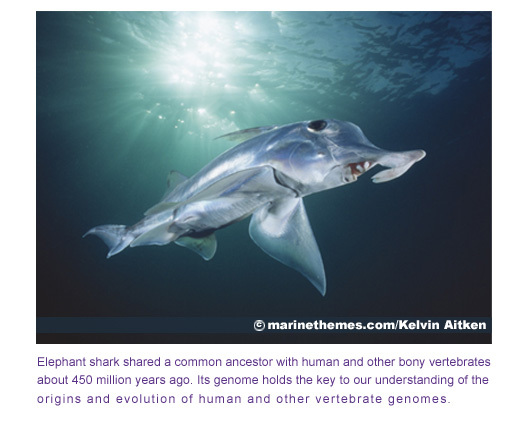 And to make sure you don’t sleep tonight, here is another chimaera named the Elephant Shark – yet another hideous cartilaginous fish with a face that will give you nightmares. 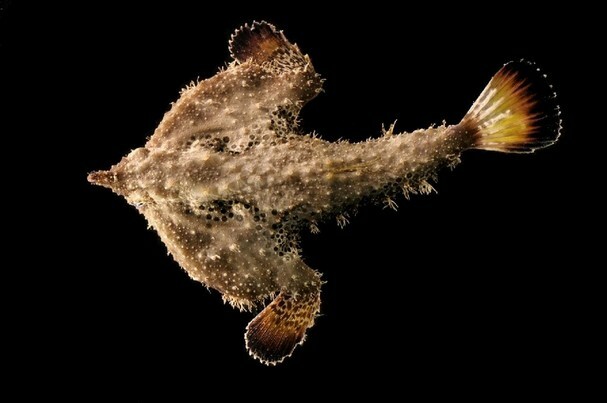 This is one no-frills fish. 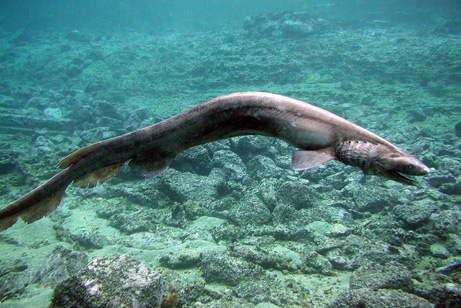 Very little is known about the ancient, eel-like Frilled Shark. 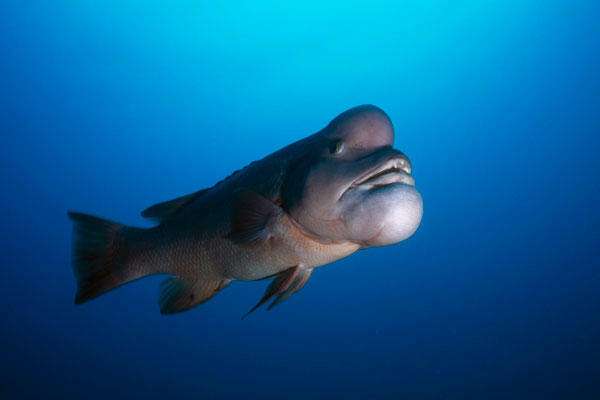 It dwells 600-1000 feet underwater and has rarely been seen. But we understand. This thing is U-G-L-Y. We wouldn’t leave the depths of any ocean looking like this. ...in dire need of a makeover. 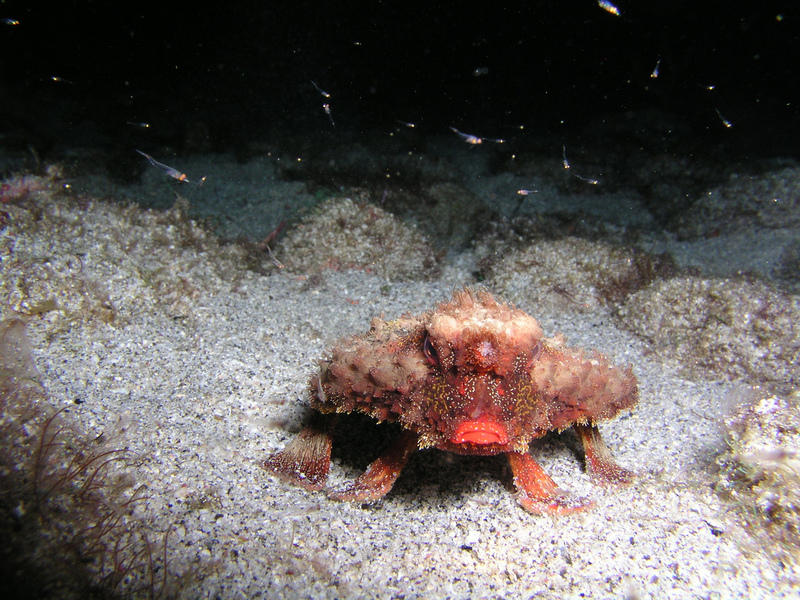 This species has changed very little since prehistoric times and it certainly shows. Six large gills protrude beyond the wide-set jaw like a swollen wound. An uneven, tattered tail + milky eyes complete the look. 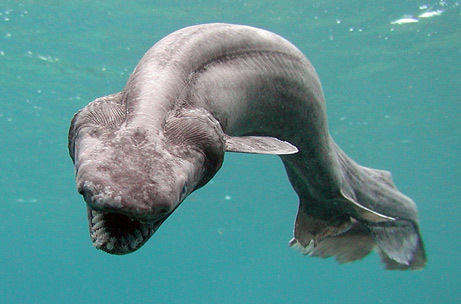 This creature has needle-like teeth and a jaw that swoops out. Prey = doomed. This strange, goblinesque shark uses it’s protrusible jaw to snap up fish. The photo above shows the shark with the jaw extended out. Otherwise, the jaws tuck in and the shark appears to have a triangular head and long nose. 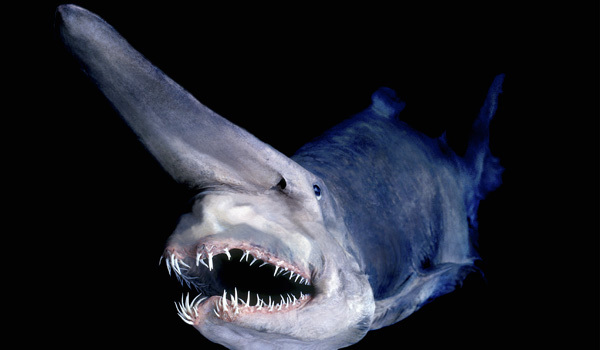 Regardless, the Goblin Shark is by far the creepiest of all sharks, and we’ve seen quite a few oddities in the deep, dark waters where it lives. Read more here. Do you know an animal that has eyes under a transparent head? Now you do! 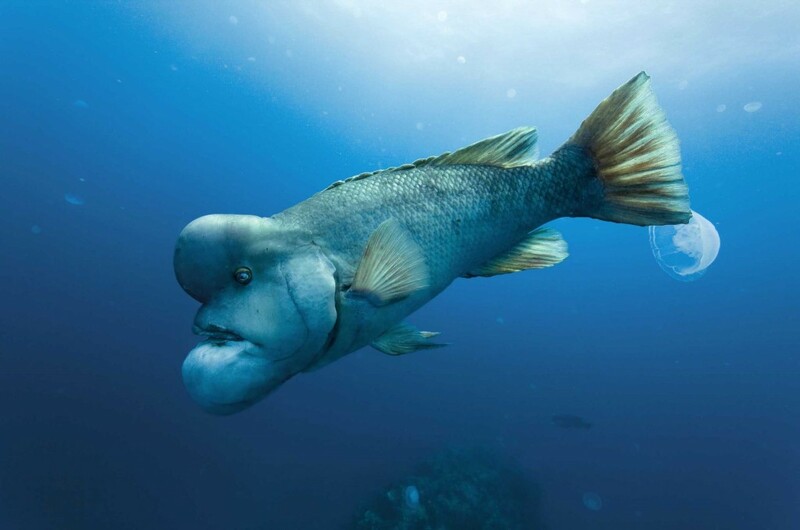 This unique creature of the deep has tubular eyes beneath it’s dome. Watch the vid.